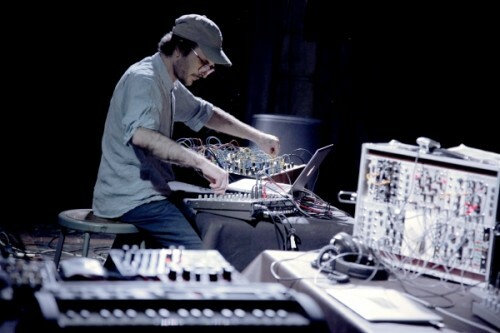 Artist-In-Residence Ben Vida performs the East Coast Premiere of Damaged Particulates, an eleven movement solo composition for fixed and live electronics presented in four channel expanded stereo. The program also includes his recent work Extraction, to be released on October 29th, 2013 on Future Audio Graphics. This work is accompanied by a micro-lecture on the theme of “Extraction”, presented by Curator Anthony Elms. The Extraction LP will be available for pre- sale at Issue. Rather than building up multi-voiced sound events, Damaged Particulates emphasizes the morphology and spatialization of single and dual voiced sonic particulates. These particulates are ordered and aggregated to create stark juxtapositions. This process is occasionally disrupted when four voices are presented in parallel, all interrelated through a shared system of control sources. Though minimal in elements this composition is at once sonically dense, grossly visceral and disjunctively rhythmic. Sound objects take on an almost physical presence within the performance space allowing spatialization to become a compositional material, and discordant sonic composites act to complicate traditional compositional logic.